(April 2, 2012, Charlottesville, VA): The Horseplayers Association of North America has released their Annual Racetrack Ratings. In 2012, for the fourth consecutive year, Keeneland is the number one rated thoroughbred racetrack in North America. “With takeout rates of no higher than 19% on any bet, a field size of 9.51 horses per race, and an almost 10% increase in handle in 2011, Keeneland came out on top.” said HANA President Jeff Platt. "We are so humbled to once again receive this honor", said Keeneland President and CEO Nick Nicholson. 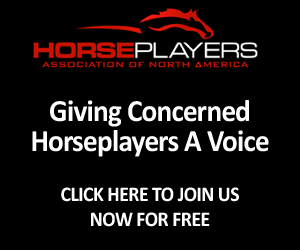 "This ranking is very important to us for many reasons, especially because we have enormous respect for HANA and its mission to give horseplayers a voice in our sport. It is equally gratifying that we can attain the top ranking while maintaining the emphasis on the health and well-being of our equine and human athletes, as well as wagering integrity on our racing product." The HANA Track Ratings are based on an algorithm designed by HANA Board member Bill Weaver, a retired engineer. 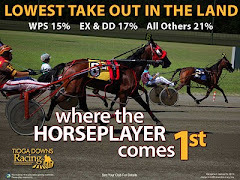 Using studies and empirical data which are directly correlated to horseplayer value and handle as key factors, including takeout rate, field size, wager variety, pool size and signal distribution, a composite score is tabulated and the tracks are ranked. The full factor sheet is posted on HANA’s web page, which allows horseplayers to sort data within the various categories, as a resource, to help them be more informed customers. #5 Oaklawn Park (last year 9th). In terms of medium-sized tracks, Sam Houston, Hawthorne and Turfway continue to be friendly to horseplayers, and were all highly ranked. 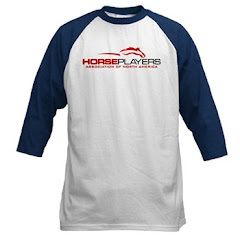 Perennial horseplayer and fan favorite Saratoga moved up the list this year, primarily due to the New York Racing Association’s 2% reduction in their higher than average exotic takeout rates. The complete list of 2012 racetracks can be found here. 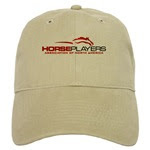 The Horseplayers Association of North America is a grassroots group of horseplayers, not affiliated with any organization. HANA believes that both tracks and horseman groups have become bogged down with industry infighting and have completely forgotten something: The importance of the customer. HANA hopes, through proactive change on several key issues (including but not limited to), open signal access, lower effective takeouts, uniform and fair medication rules, wagering integrity, affordable data and customer appreciation, the industry’s handle losses can be reversed. 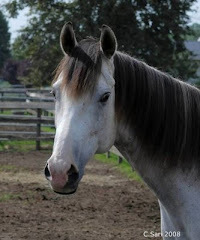 HANA is currently made up of over 2000 horseplayers (both harness and thoroughbred) from almost all states and Canadian provinces. 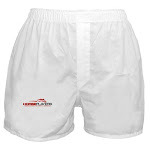 We currently represent over $75,000,000 of yearly racing handle. We have posted this story on AGameofSkill.com and invite all players to learn more about handicapping and horse racing there.